Every month, 125 credits will be added to your account. Use the credits to book your appointment. I have been going to Josh for about a year now and he is simply the best at what he does. I have lower back & neck issues and Josh’s massages & stretching ALWAYS leave me refreshed and more flexible than when I arrived. I have gone to other massage therapists and they pall in comparison to Josh particularly with respect to how I feel for days and weeks after I have seen Josh. If you have physical issues, Josh will zealously concentrate on those issues. If you have physical issues, do yourself a favor and schedule an appointment with Josh – you will not be disappointed. 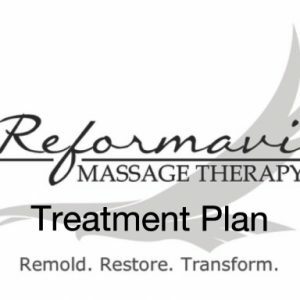 I have only had one treatment from Josh but have invested a considerable amount and money into therapists all over the country and in the Sarasota region and can attest to his unique skill set and talent. I have been dealing with a recurring aching upper body and left shoulder and he vastly improved my overall comfort and range of motion. I feel much more balanced and “body-integrated” and would highly recommend him. I went to see Josh with severe pain down my right side, starting in my neck/shoulders and extending down to my fingertips. It affected me during the day and even more so when I was sleeping. I’ve had a few massages in the past but none can compare to this one. Josh focused on the specific areas that I complained about vs the traditional ‘head to toe’ generic massage. I am amazed! It’s now been one week since I saw Josh and my right side still feels wonderful. I have increased mobility. I have significantly reduced pain and I have never slept better. I see Josh again in a week and plan to continue treatments regularly.